The mouse is your physical link to the digital world. Yes the keyboard is there too. But more than any other device, the mouse is how your interact in a world of zeros and ones. But that world is getting more and more complex and the regular ol’ two button mouse with a track wheel can’t hold a candle to the new fancy track pads. That’s where the new Logitech MX Master wireless mouse comes in. It supports a lot of those track pad features and it has buttons. So many buttons. But the most important button is on the bottom. The mouse can be synced with three different computers via Bluetooth or a sync dongle. For anyone using more than one computer in their desk, you just lift up the mouse, tap a button and boom, you’re controlling another computer. I switched between a MacBook and Surface Pro with zero issues. It removed that extra input device which to be perfectly honest is usually pretty messy. Of course, it still has to work as a mouse. Full disclosure here, while I used the MX Master for the past week, I usually use a Wacom tablet. In fact, it took a two days for me to get comfortable using a mouse. But I will say, that after an initial break-in period, the MX Master is a really nice mouse. Did I mention it has a lot of buttons? While there’s a onboarding feature that explains what each button does, it can be a bit of overload for new users. But, as I started using the mouse I started using all (well most) the buttons. The scroll wheel is especially useful thanks to two distinct modes. It can be used in a free mode where it’ll spin and spin and spin for days. The second mode has a “click-to-click” notch mode that with a flick of the finger turns into a free spinning mode that’s great hitting the top of a Twitter or Facebook feed or a multi-page document. A hidden “Gesture” button that resides under your thumb is used to recreate some of Apple’s multi-touch features like Mission Control and App Expose. Just tap and hold and move the mouse up or down. Along the edge of the thumb area is another set of buttons. A side scrolling button is helpful for large photos and excel sheets. It can also be used to swtich between pages. Behind that are two more buttons that I only used once because it was slightly awkward and because it’s my job to click all the buttons. Of course, all these buttons can be programed using the Logitech preferences for Windows or OS X. I have large hands and the mouse was comfortable but I can see where smaller hands would also feel at home. The precision is spot on, even when used on glass thanks to the evil space-villain sounding Logitech Darkﬁeld Laser feature. Pew pew pew, click. I just clicked on an extremely tiny cell in Excel. While I couldn’t test it personally, Logitech says the mouse will last for 40 days on a charge. Of course, you’ll forget to charge and it’ll die when you need it the most. But, the company says it’ll last for an hour on a one minute charge. A few years ago, the MX Master may have seemed like more mouse than you’ll ever need. 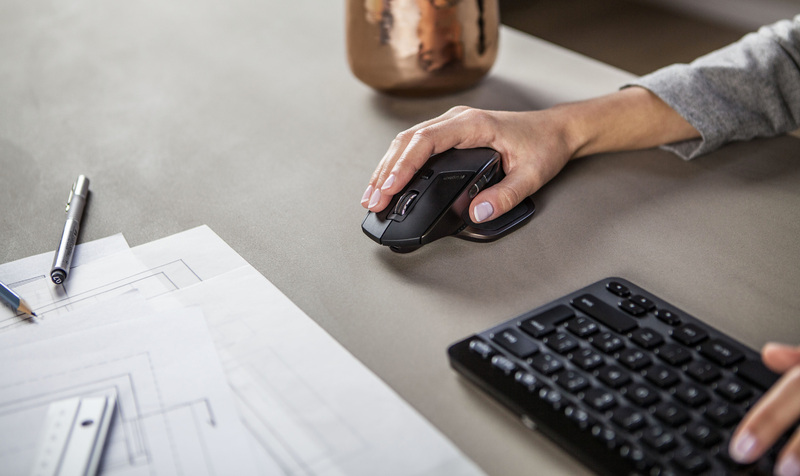 Now, we’re swiping and tapping and clicking in all sorts of weird ways and MX Master fits right in with a package that doesn’t require you to remove your hand from the mouse even when you switch computers. 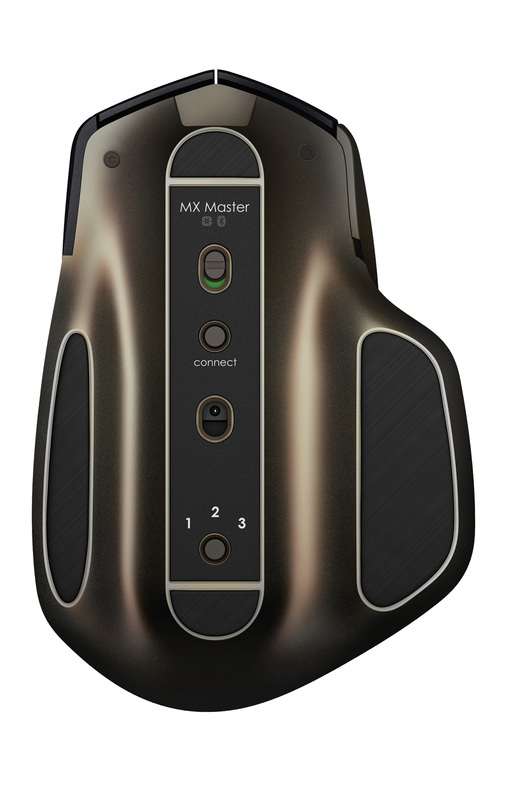 The MX Master wireless mouse will cost $99 and will be available in April.